My first blog post. Exciting! The story thus far. About seven years ago, I started writing a middle grade children’s book. I thought I had finished it five years ago and sent it around to a bunch of agents. I received some positive feedback, but no one wanted to represent it, so I put it in a virtual drawer. A couple of years ago, I took it out again and saw, to some extent, what was lacking. So began a cycle of rewriting, researching, getting feedback (some professional, some amateur), rewriting, getting a tip here and there, rewriting, etc. culminating in one more attempt to attract an agent…but no go, again. Back in the drawer. As a voracious reader, I noticed last year that there was an explosion of self-published ebooks on Amazon. Intrigued, I’ve been doing my homework since then and found lots of advice, war stories and articles on ebook self-publishing. I think the time is right to try to self-publish my book as an ebook, at least as a start. 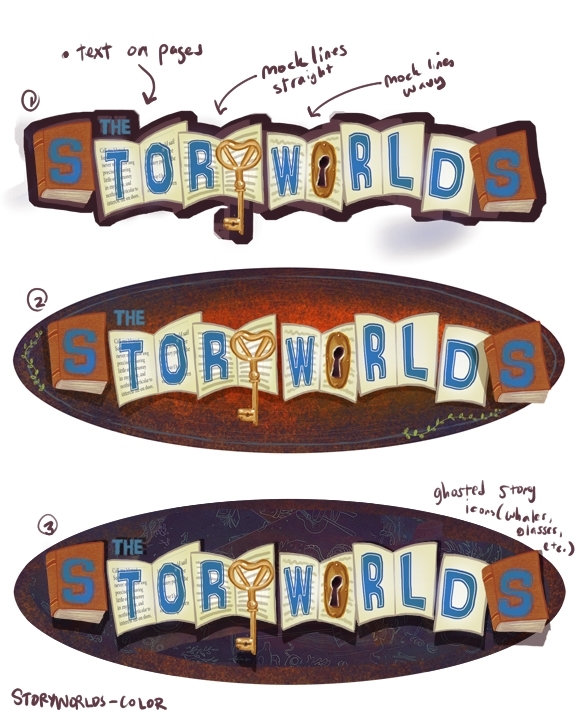 It’s probably going to take a few months, so I thought it would be fun to document my journey in a blog, which you can find on the Storyworlds website (for those of you seeing this on Facebook). So, having just finished another polish, I’ve engaged a fantastic artist, Colleen Madden, to illustrate the first novel in my Storyworlds series, Wonderland. 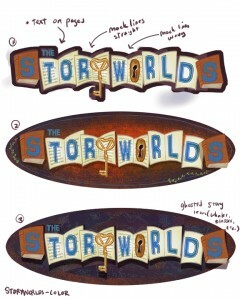 We’re currently working on the title treatment for the whole series. Check out a few of the concepts we are tinkering with. Over the next few weeks/months I’ll be posting more art, the first chapter and everything I learn and experience as I set up my Amazon and/or Smashwords account and more. Stay tuned for more and feedback is always welcome! I saw your post on the SCBWI-LA listserv. This looks like a fun project. Best of luck to you on your journey! i think this is awesome, and I really appreciate your honesty about the agent attempts and what nots. get that book out into the universe! Thanks, Abby! I’m going all the way, so stay tuned for more trials, tribulations and triumphs.